Yes, the patchwork is actually finished! I started quilting it before I went to Aldeburgh, finished it on Monday, and – as a result of a very wet, dark and windy day yesterday – completed all the binding by yesterday evening. I have to say that as patchwork goes it is far from perfect! The corners of the squares do not match up in places, and there are a few little tucks in the fabric where I had not managed to get the three layers, top, batting and backing fabric, really smooth and flat. 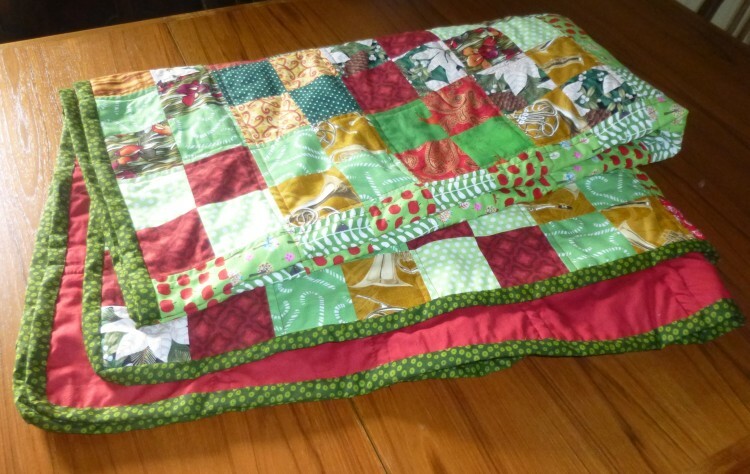 Also the binding did not go according to plan round the corners of the quilt – they look rather rounded as you can see! BUT it is colourful, fun and FINISHED, and I enjoyed making it, so for a first try I’m really pleased. 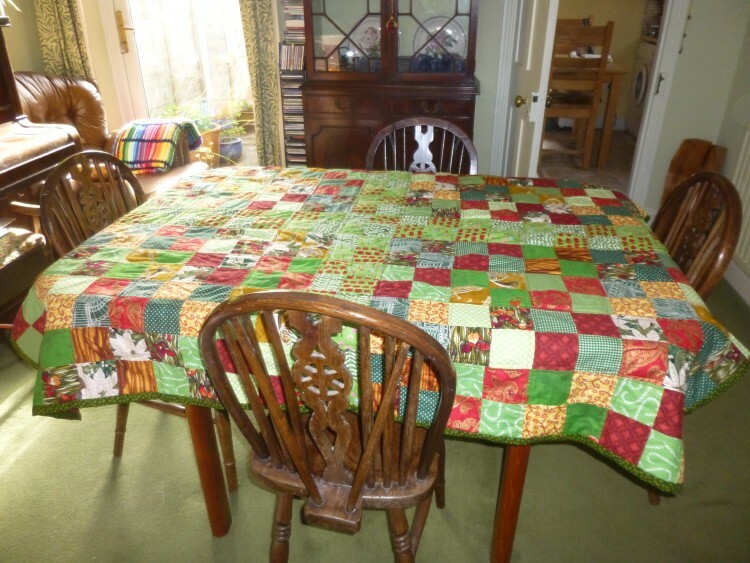 It has now been through the washing machine, and is drying naturally over the upstairs landing banister, but before I washed it I tried it out on the dining room table, because it is meant to be a table cover – and it looked good!